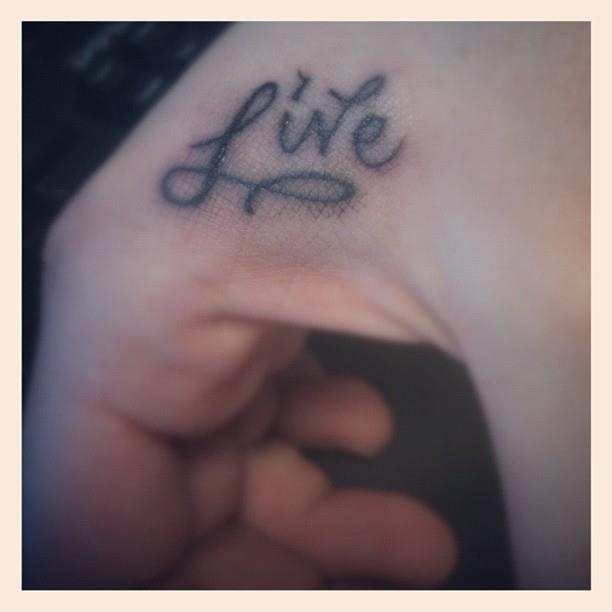 My tattoos celebrate, motivate and guide me in my passions. They help me stay on task, stay focused. They remind me of where I have been and where I am going. 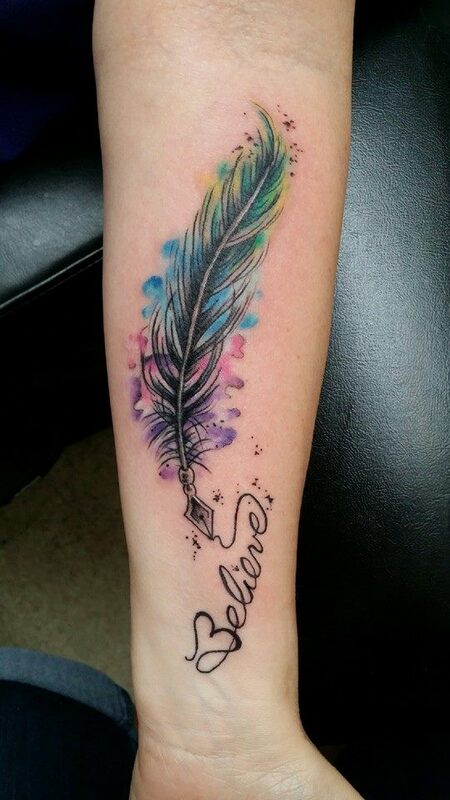 Here are a few other author motivational tattoos. 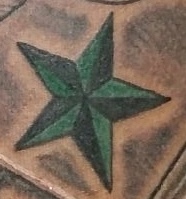 My nautical star in green and black. Reminds to to stay the course. Nice colors on the feathers. An image motivates me – the Cross. When I fell down Mt. St. Helens a few years ago and cracked open my head, a motivational thought came to me and has remained: “I can do hard things”…Walking off the mountain in the dark for over an hour with my head held together by my headlamp strap was a hard thing, but I’m here to tell the tale!